Giving Topps a lot of freedom, 2019 Topps On Demand is basically a bunch of unrelated, limited-edition sets that each act as a truncated version of a standalone release. Although heavily geared to baseball, past years, including 2018, have also featured Stars Wars sets and various entertainment brands under the Topps umbrella, like Garbage Pail Kids and Wacky Packages. Issued in pack or set form, the 2019 Topps On Demand sets are normally sold for a week as supplies last. However, many releases, especially the MLB options, have sold out in mere hours. Prices vary considerably based on the guaranteed output per pack. 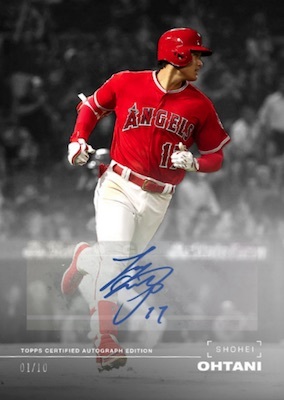 2019 Topps On Demand is an ongoing product line with new options released throughout the year. Check back for new set details as they are announced. Shop Available On Demand sets on Topps. 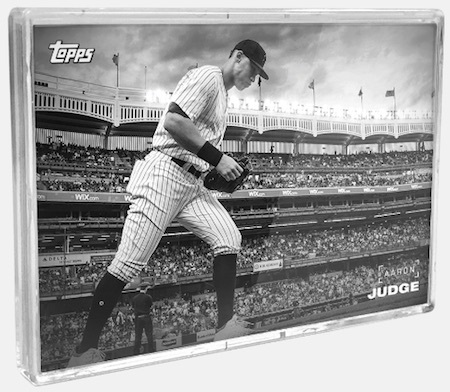 Delivering on the name, 2019 Topps On Demand Black and White lets the colorless images do the talking through a 70-card base set alongside 10-card sets featuring 2018 Champions and Awards (2 per pack) and Team Celebrations (1 per pack). Splashes of color can be found in the various parallels that average two per pack. 2019 Topps On Demand Black and White sells for $60 per pack. Because the autograph cards fall 1:2 packs, it can be more of a gamble at that amount with only a 50/50 shot at a signature. 70 total base cards, 20 inserts and 28 signers. Buy on eBay. Final Print Run is 2,000. Each sealed pack has 25 base cards and 5 parallels/inserts. Autographs are 1:2 packs. BASE PARALLEL: Sepia (not #'d), Background Color #/25, Full Player Color #/10, Full Color 1/1. AUTOGRAPH PARALLELS: Base (not #'d), Full Player Color #/10, Full Color 1/1. 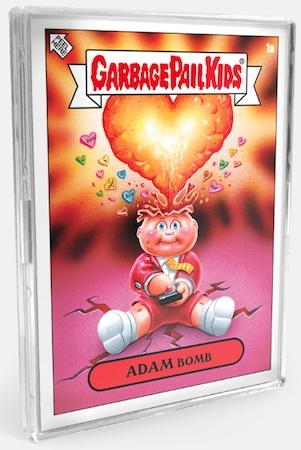 Bringing the Garbage Pail Kids' stylings to the heart-filled holiday, 2019 Topps On Demand GPK Valentine's Day features the full 20-card base set in every pack. That includes 10 "A" names and another 10 "B" names. There are also five parallels, including three Green Border cards and one festive Pink Border card. Although typically considered variations rather than parallels, each pack also has one "C"-name parallel. However, the subject list was not provided. Collectors can also chase sketch cards that average 1:2 packs. No artist list was supplied either. Each 2019 Topps On Demand GPK Valentine's Day pack sells for $40. 10 base cards with different name versions. Buy on eBay. Final Print Run is 750 sets. Each sealed pack has 20 base cards (all of the A/B names) and 5 parallels. Sketch cards are 1:2 packs. BASE PARALLELS: Green Border (3 per pack), Pink Border (1 per pack), C Names (1 per pack). 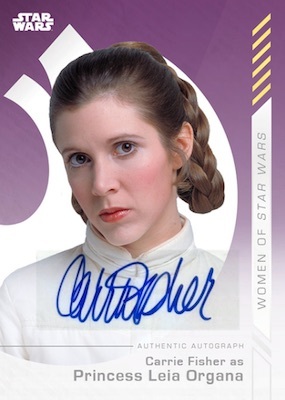 2019 Topps On Demand Women of Star Wars is all about the famed ladies of the galaxy! A $60 pack gets you all 25 base cards and one base parallel. 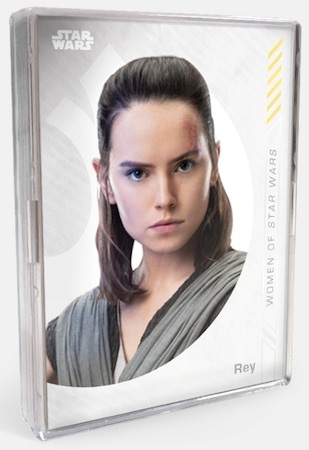 There is also one chase insert per set and a random autograph from the 16-subject list that includes Daisy Ridley as Rey and the late Carrie Fisher as Leia. 25 base cards, 18 inserts and 16 autographs. Buy on eBay. Final Print Run is 700 sets. Each sealed pack has the full base set, 1 parallel, 1 insert and 1 autograph. BASE/AUTO PARALLELS: Purple (not #'d), Blue #/10, Red #/5, Gold 1/1. 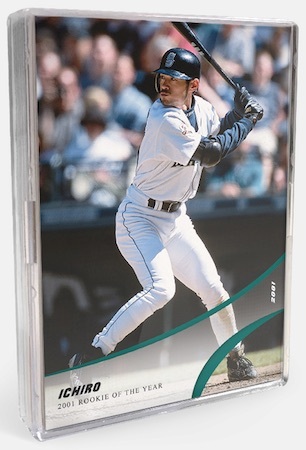 Many of the On Demand sets offer a limited chase, including parallels, inserts and/or autographs, but 2019 Topps On Demand Ichiro Legacy Series is essentially a factory set. Honoring the MLB career for the Japanese sensation as he officially retires, each sealed set contains all 20 base cards for $30. 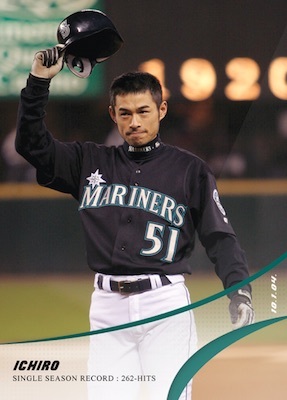 This includes 14 Ichiro cards and six additional cards that feature other MLB stars from Japan. 20 base cards. Buy on eBay. Final Print Run is 893 sets. Each sealed pack has the full base set. 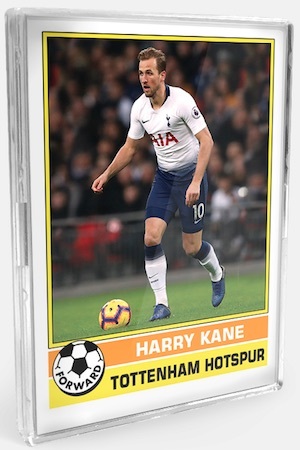 Retro-style Premier League cards are the featured design in 2019 Topps On Demand 1977 Footballer. 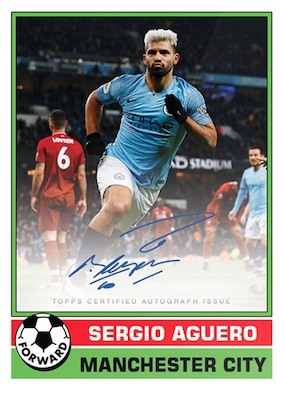 The soccer release includes the full 20-card base set in each pack, as well as two parallels, three chase inserts and one autograph. The insert selection includes Best of the Premier League IX, Elite Keepers and the multi-player Top Trios. One card from each insert is expected in every pack, which sells for $30. 20 base cards, 22 inserts and 12 autographs. Buy on eBay. Final Print Run is 500 sets. Each sealed pack has the full base set, 2 parallels, 3 inserts and 1 autograph. BASE/AUTO PARALLELS: Blue (not #'d), Red #/10, Black #/5, Gold 1/1. 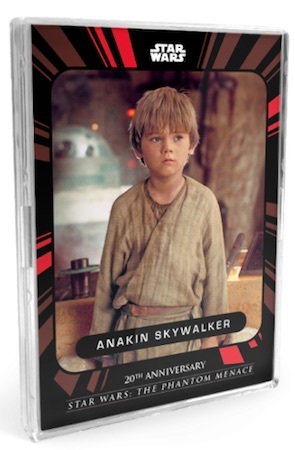 In honor of the two decades since the Episode I prequel released in 1999, 2019 Topps On Demand Star Wars Phantom Menace 20th Anniversary covers the polarizing film with a small release. Each set includes all 25 base cards. There is also one parallel and one autograph per set. The Jedi Council chase insert cards fall in every other set. Highlights of the autograph lineup include Samuel L. Jackson as Mace Windu and Kenny Baker as R2-D2. There are also limited dual autograph cards with only five copies apiece. Sold online and at 2019 Star Wars Celebration Chicago, the sets go for $50 as supplies last. 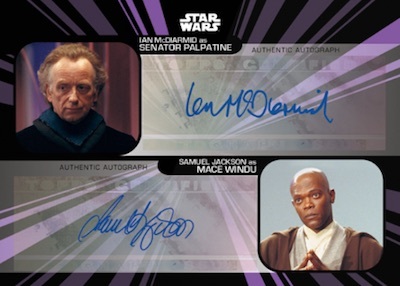 Shop Topps On Demand Star Wars Phantom Menace 20th. 25 base cards, 12 inserts, 14 autographs, and 4 dual autographs. Buy on Topps. Final Print Run is TBD. Each sealed pack has the full base set, 1 parallel, and 1 autograph. BASE/AUTO PARALLELS: Silver (not #'d), Blue #/10, Purple #/5, Gold 1/1. 2019 Topps On Demand Black & White Kyle Schwarber Auto! Limited # Clean Auto!! I love the concepts behind many of Topps on-line exclusives. Some have even motivated me to pull out a crowbar and pry open my wallet. I almost ordered a few of the packs, but instead of grabbing my credit card, I pulled out my collection of orders from Topps and relived the heartbreak of the stack of cards with dinged corners and chipped edges. Fool me once, shame on you, fool me ten more times, those are on me, but I won’t be fooled again. Dan J just reminded me of why I rarely purchase Topps On Demand . Great photos in the Black and White set, just got mine in the mail. I got a Luis Severino Color Auto 56C-A #/10. Not on the checklist. Anybody ever try to send back dinged corners and chipped edges? Seems like this Black & White set had more than its fair share.